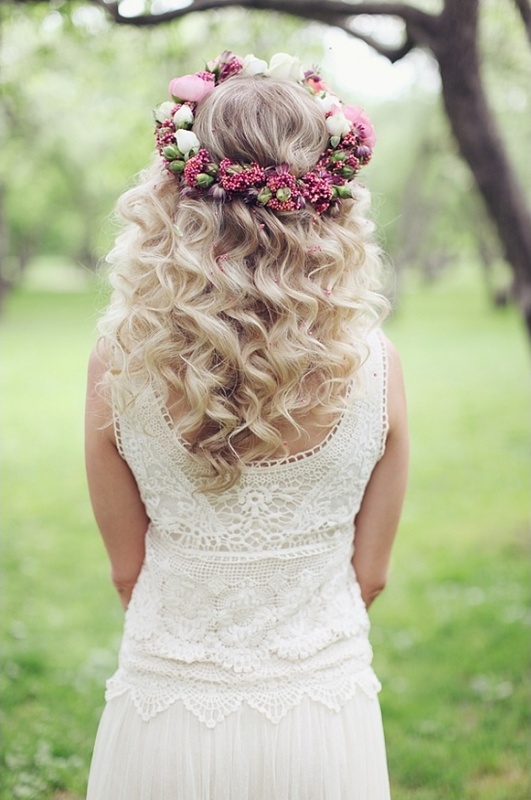 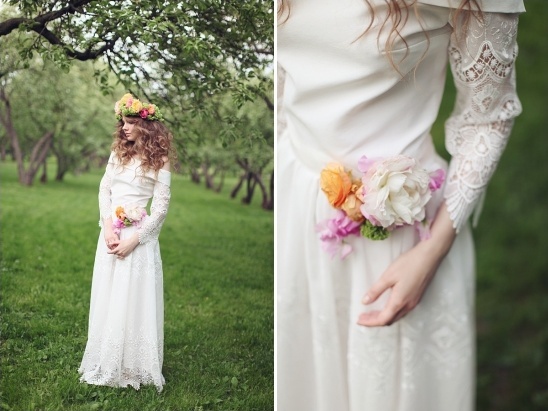 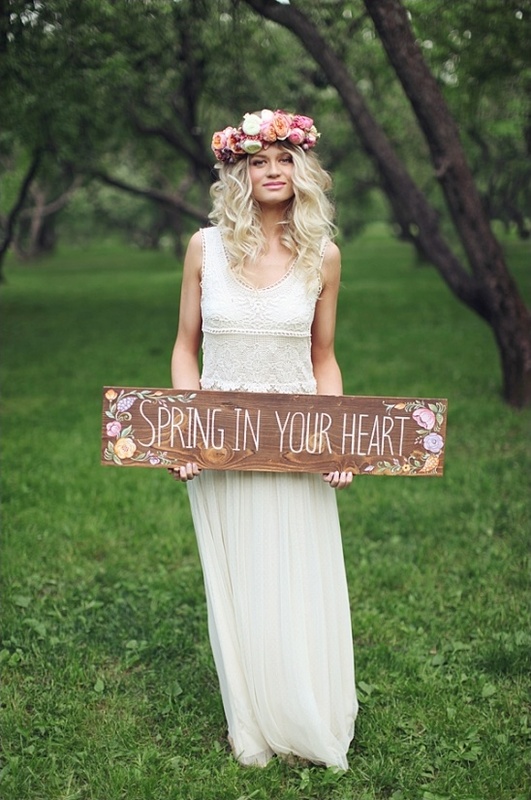 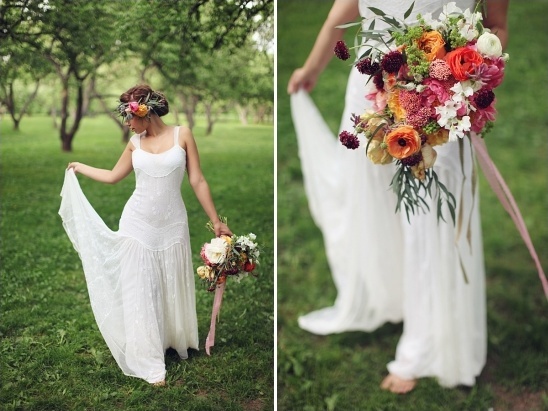 We had to share this incredible boho-chic bridal look once again. 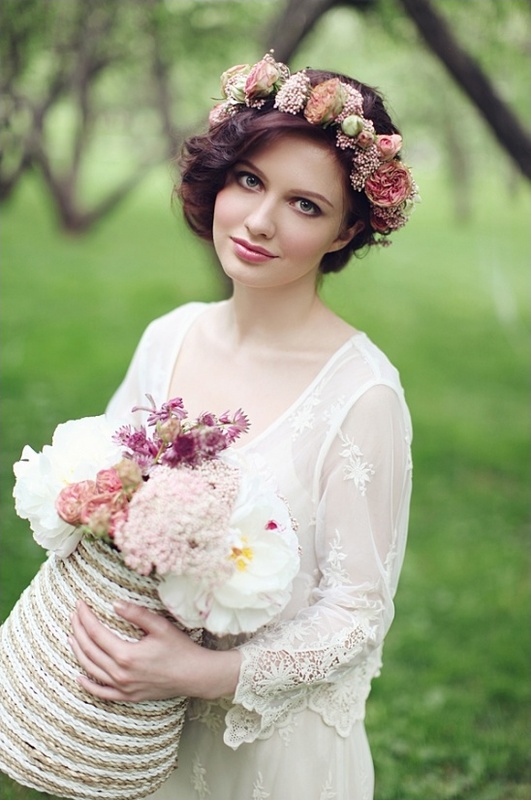 All of this incredible magic is the result of the collaboration of some absolutely amazing vendors! 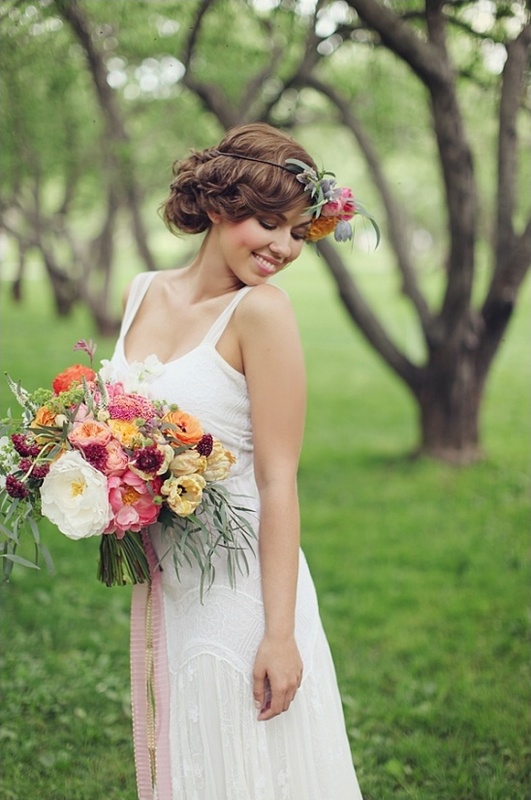 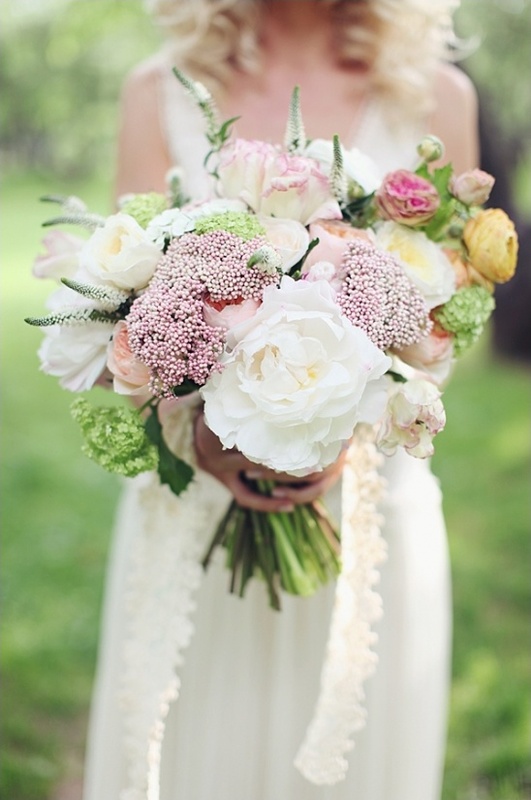 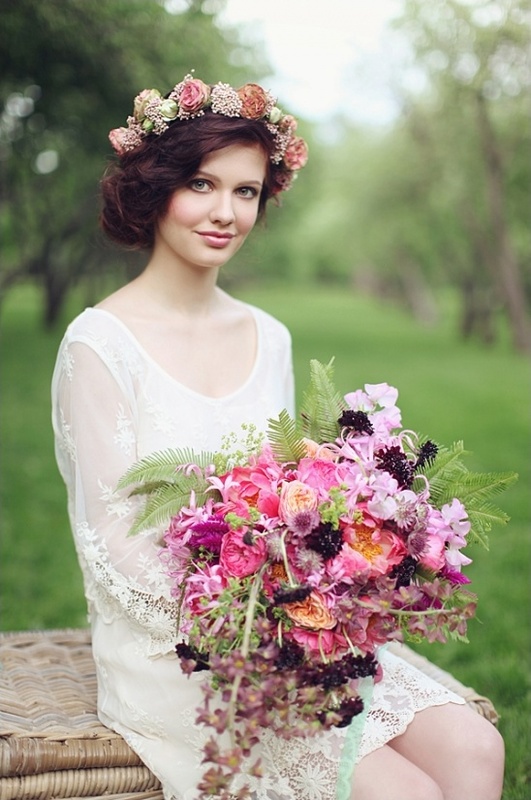 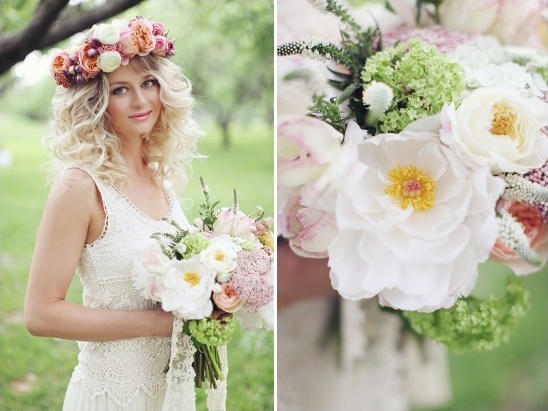 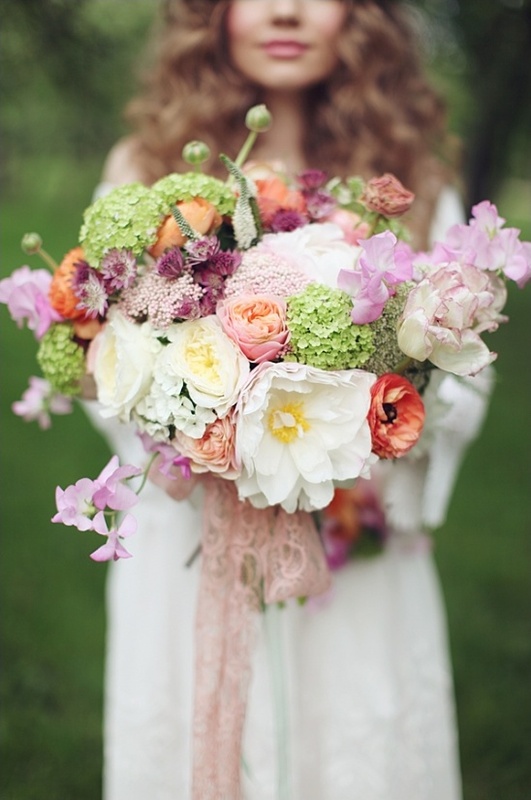 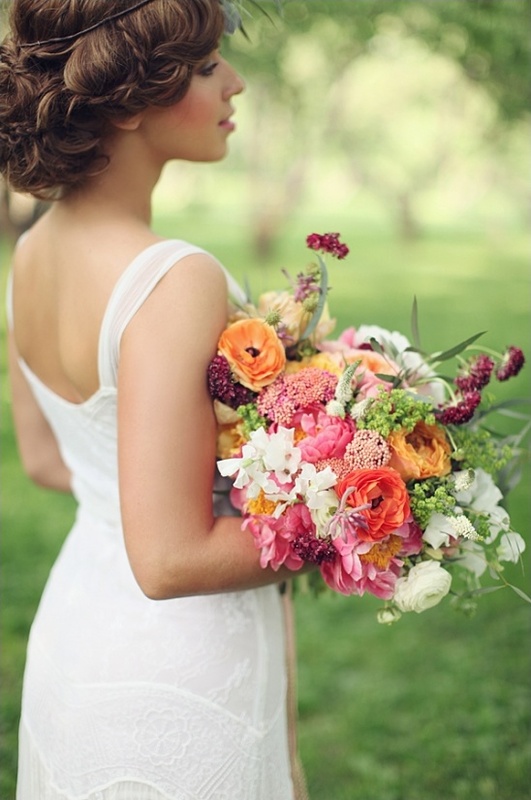 Centered around the beautiful florals created by Blush Petals, this photo shoot embraces all things feminine. 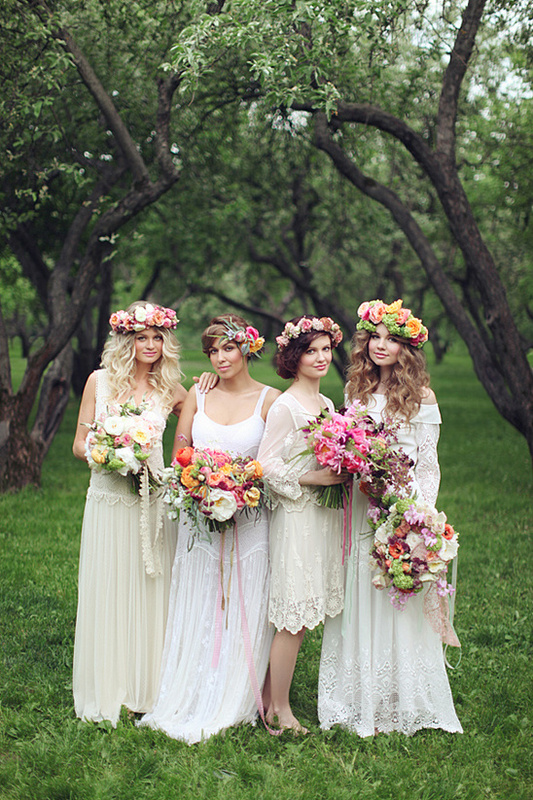 Latte Decor designed this photo shoot to perfection while Sonya Khegay was there to capture every last gorgeous detail — so be sure to visit the full gallery here to view them all of these amazing Bohemian Bridal Ideas. 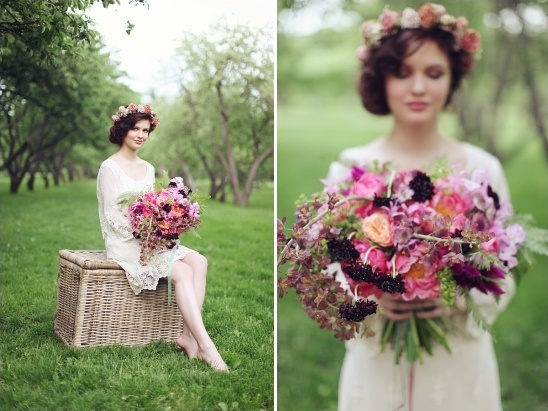 From Sonya Khegay:Through my work I met a wonderful girl, she is a very talented florist and decorator. 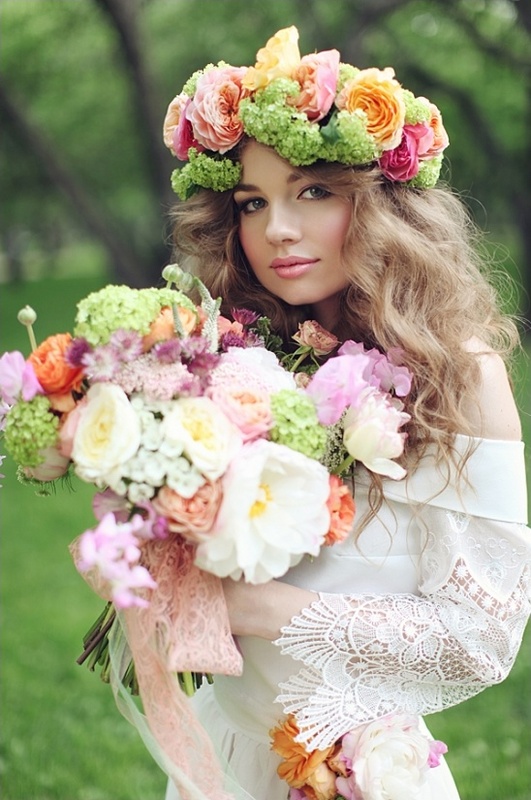 We're both in love with all gentle and feminine. 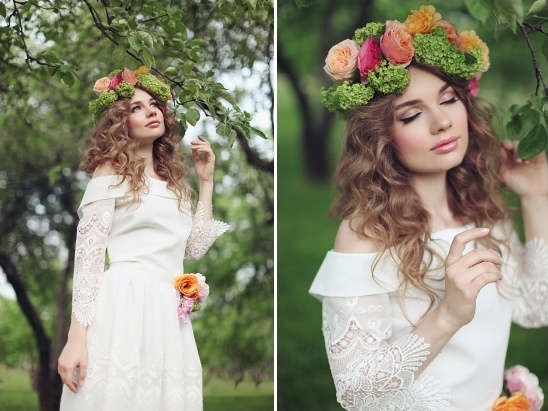 Our ideas to make something beautiful came true, when I visited Moscow this spring. 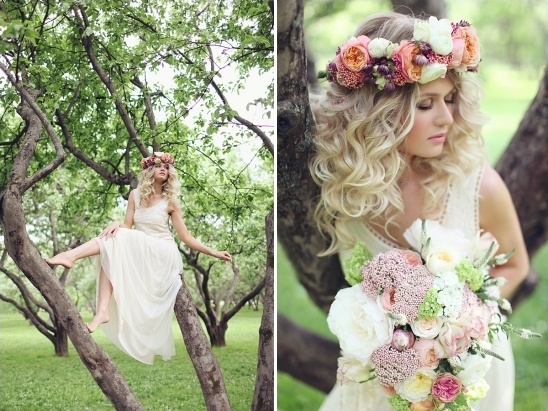 Blush Petals created all of the breathtaking florals for this inspirational shoot, including the floral crowns, bouquets and floral accessories. 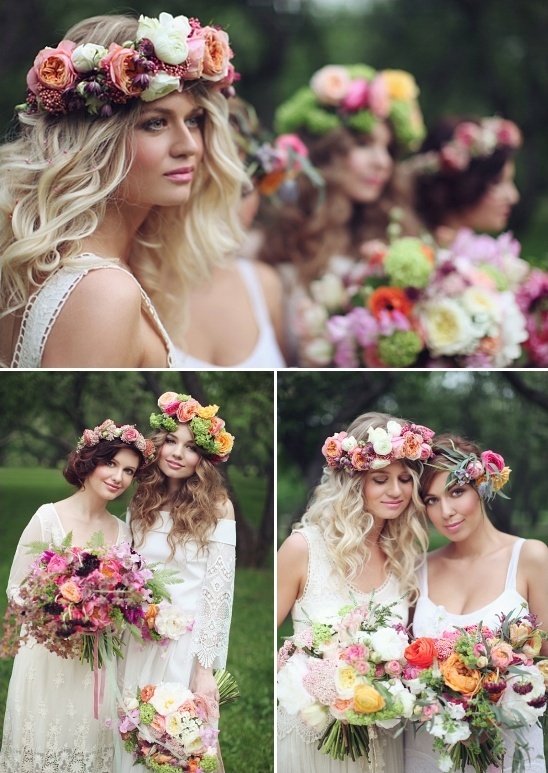 Each bouquet and hair accessory has a different look and feel, but all fit in beautifully with the vintage-boho-chic vibe of the day.